The University of Washington (UW) has gone mad, although not in a disorderly chaos kind-of-way. Instead, the grounds have been overtaken by Mad Campus, an art exhibit comprised of site-specific and interactive works made by local artists. Ranging from a giant inflatable cowboy near 15th Avenue NE to a delicate, yet flashy, mobile hanging from trees in the Quad, the 12-piece exhibit releases art from the confines of gallery walls and brings it into the real world. The installation, which is organized by the parent organization MadArt, ends October 25. “Interactive” is the key word in all of this. As people’s appetites for immersive, unique experiences grow, museums and galleries must employ new tactics to engage people with art. Some people are no longer content to passively view art hung on pristine white walls or untouchable behind Plexiglas; they want to get up close and personal with the art and the artist. “Like college campuses, sometimes public art can be intimidating, like an invisible line drawn or a club that is members-only,” says Piper O’Neill, who also created the Lone Stranger, the popular inflatable cowboy statue that stands tall near William H. Gates Hall. 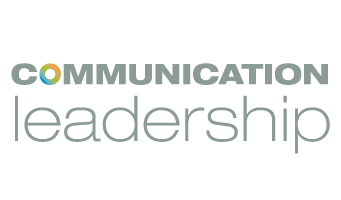 “I wanted to redraw that line and make it fun and approachable,” says O’Neill, an alumna of the Communication Leadership graduate program at the UW. She says she designed her piece to draw people in by placing it in a visible area, facing away from campus, beckoning people to come get a closer look. From the very beginning, Mad Campus as a whole was focused on engaging the surrounding community. Each artist was allowed to choose from 17 spots on campus, ranging from highly visible to concealed and hidden. They were given two weeks to set up their work before the show went live on September 13. During that time, students and community members could watch the artists create and speak with them personally. Detweiler says that not only gave people a view into the art-making process, but allowed them to have real, meaningful interactions with the artists and their work. Sentinel, a piece by Kevin McCarthy, received a particularly warm response. Made from cardboard and shiny metallic vinyl, it looks like some kind of intergalactic tricycle from space. Due to its high visibility on the corner of 15th Avenue NE., Detweiler says the artist received plenty of cheers, vehicle honks and even a few hugs from those who stopped to watch. While Mad Art’s strategy is based on bringing artwork to the people, other organizations have started experimenting with location-based storytelling to enhance people’s experiences. The Seattle Pacific Science Center, for example, uses an app called mixby to deliver exclusive content. Bluetooth beacons situated in exhibits allow people who have the mixby app installed to access photos, videos and other content that is specific to the exhibit. Platforms such as mixby and exhibits such as Mad Campus are helping to redefine the way in which people consume information and experiences. As the nature of these experiences continues to evolve, one thing is clear: Content, as well as art, must now meet people where they are.